I’ve been reviewing letters that Sweet Pea has already learned, just to make sure he keeps track of them! One way I am doing this is by coming up with words starting with that letter (which is something I’ve integrated into his letter learning all along)! Many times this leads to thinking about a certain activity, and it did this time, too! 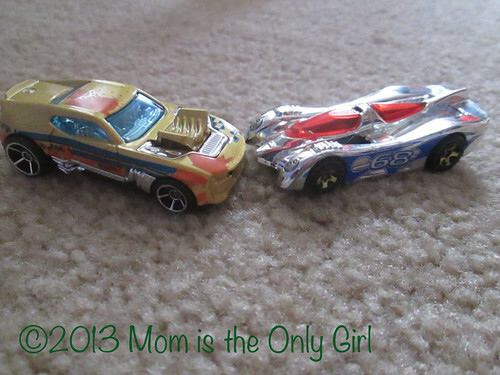 After letting Sweet Pea plan his morning one day we settled into playing with his Hot Wheels tracks and cars. 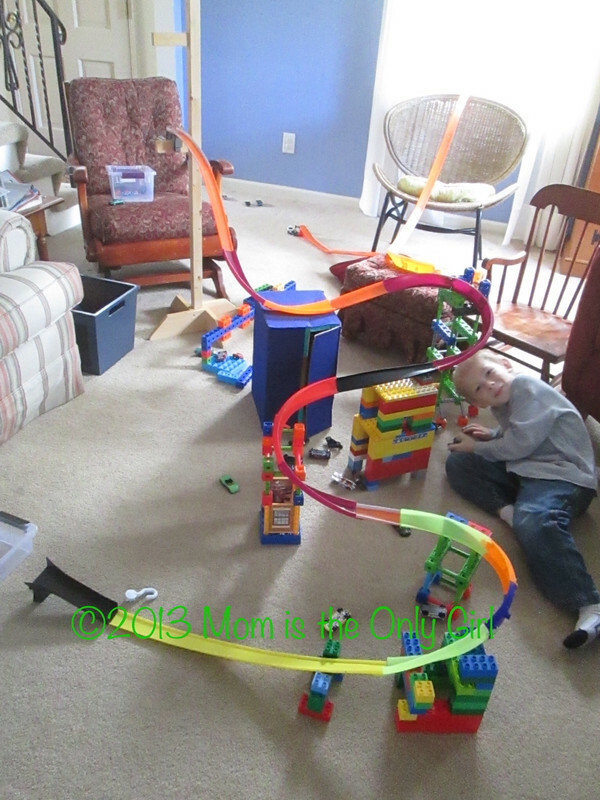 He did a great job assembling a track and instructing me to build a curvy track. It was so fun to see his brain at work! There certainly were a lot of car crashes, but that’s part of the fun around here! We also assembled a 3D letter C from Mr. Printables. As usual, we tried to think of something to physically attach to the letter C to remind us what it sounds like. Sweet Pea chose pictures of his cousins, since their names start with C and a cotton ball! Perfect! I don’t think all the counting we did was necessarily attached to the letter C activities of the week, however, we did do a whole lot of it and several times ‘counting’ was brought up as a C word, which seemed to tickle Sweet Pea’s funny bone!